Although it has earned quite a reputation for its politics, Iran is also one of the world’s most culturally diverse and interesting countries to visit; woven together to form a rich tapestry of religion, culture and heritage. At an astonishing 636,372 square miles (or 1,648,195 square kilometers) it is the Middle East’s second largest country and it stands to reason that it has a great deal to offer the intrepid traveler. Our Iran tour is the most in-depth and thorough of any tour to the country offered on the market. Visit 18 out of the 20 UNESCO World Heritage Sites throughout the country. Explore 37 cities, towns and villages and interact with people who are famous for their exceptional hospitality. 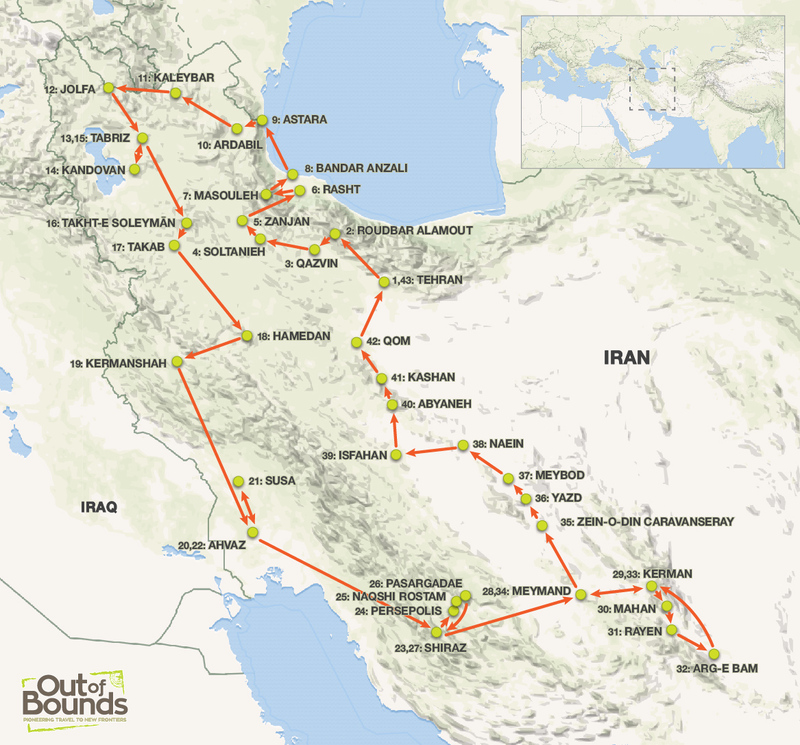 Experience the varied, diverse and ever-changing terrain of Iran from the ground level as we cover 3,000 miles in an overland loop. 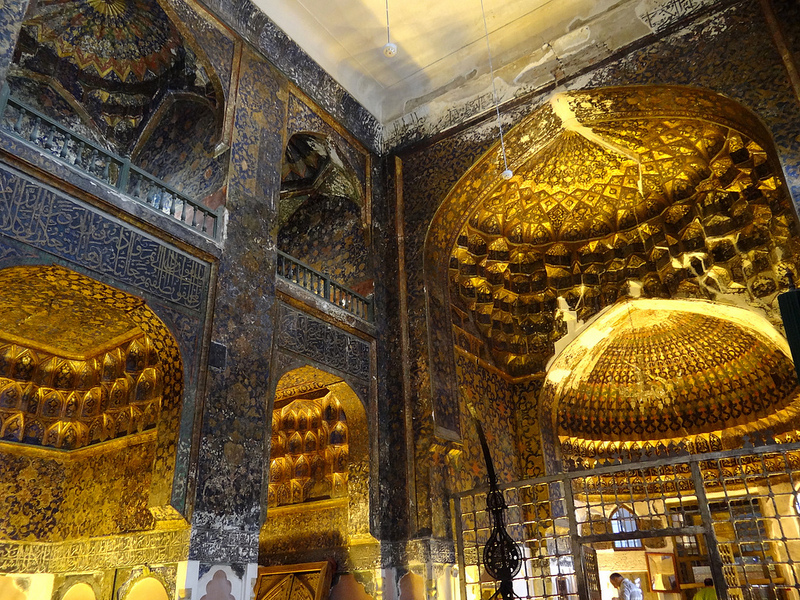 The remarkable museums and palaces of Tehran. 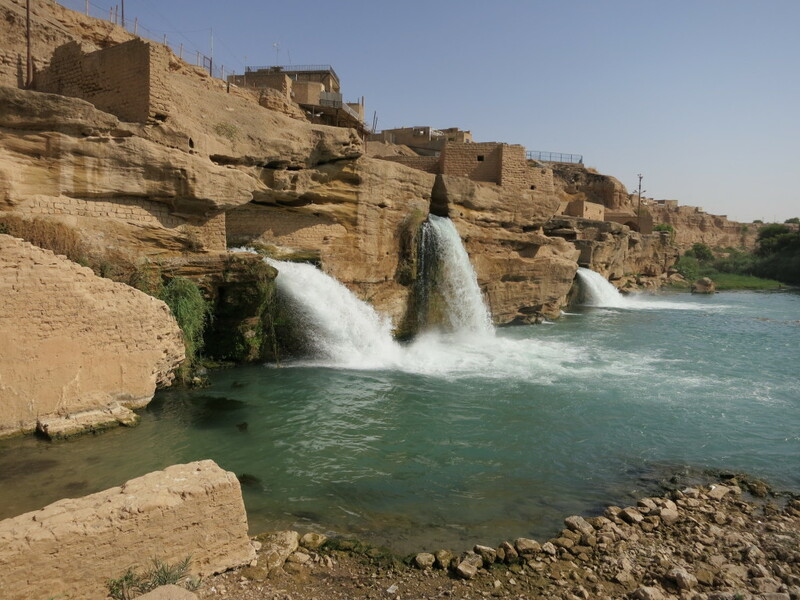 The traditional villages and troglodytes such as: Masuleh, Rayen, Maybod, Na’in and Abyaneh. The Armenian church of St Stephanos and the turquoise mosque in Tabriz. The imposing Mausoleum of Öljeitü and the Sassanian watch towers, palaces and fire temples at Takht-e Soleyman. The temple of Anahita, Goddess of water and fertility, Kermanshah. 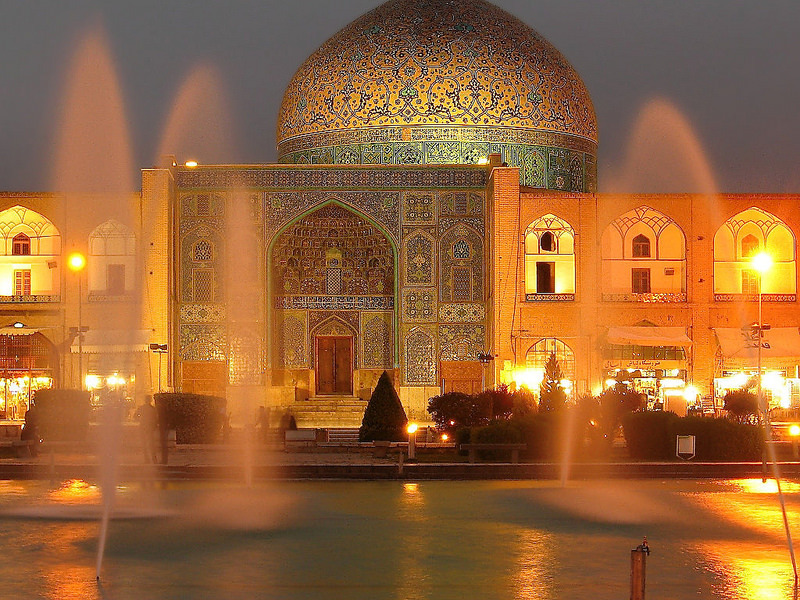 The gardens of Shiraz, where Persia’s poets are celebrated. 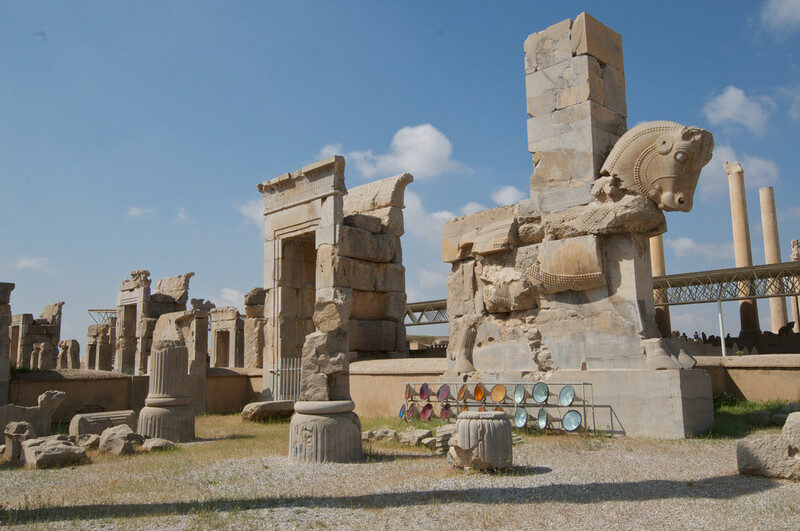 Classical sites of Persepolis and Pasargadae. The desert city of Yazd, with its evocative Zoroastrian and medieval sites. 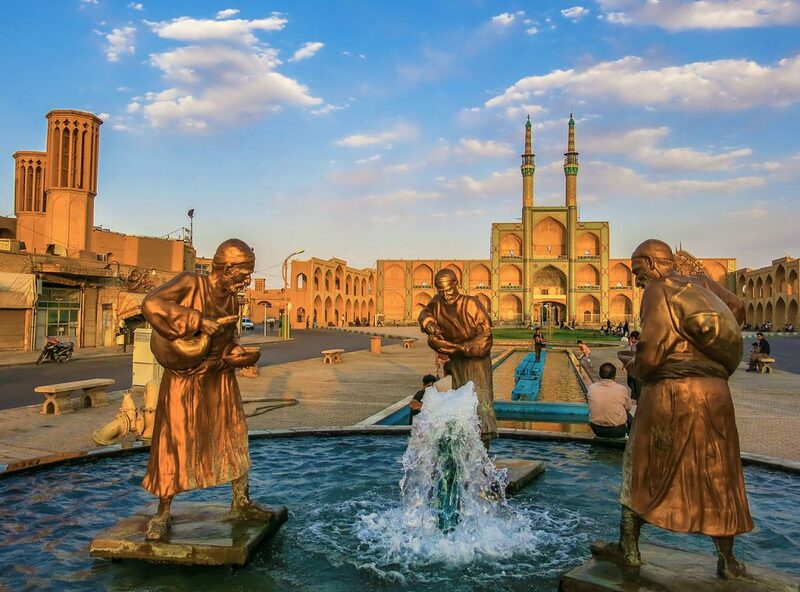 The UNESCO World Heritage city of Isfahan, center of the ‘renaissance’ Abbasid period. Visit to Shush (Shushan, the setting of the Biblical Book of Esther), and Susa (UNESCO) dating back to before 6,000 B.C. Visiting glittering shi’ite holy shrines and Imamzadehs. The opportunity to interact with a civilization which predates the Egyptians by 500 years, the Indians by 1,000 years, the Chinese by 2,000 years, the Greek by 3,000 years, and the Romans by 4,000 years. Visit sponsorship for group travel. We begin our Iran tour on arrival at Tehran’s Imam Khomeini International Airport in the early hours of the morning. Later in the day, after checking into our hotel and resting, we will visit the Golestan Palace/Museum Complex, a UNESCO World Heritage Site and the former residence of the 19th century/early 20th century Qajar Kings of Iran, with several palaces including the Marble Throne Room, Shams-ol-Emareh (Sun Palace) and the Ethnographic Museum. 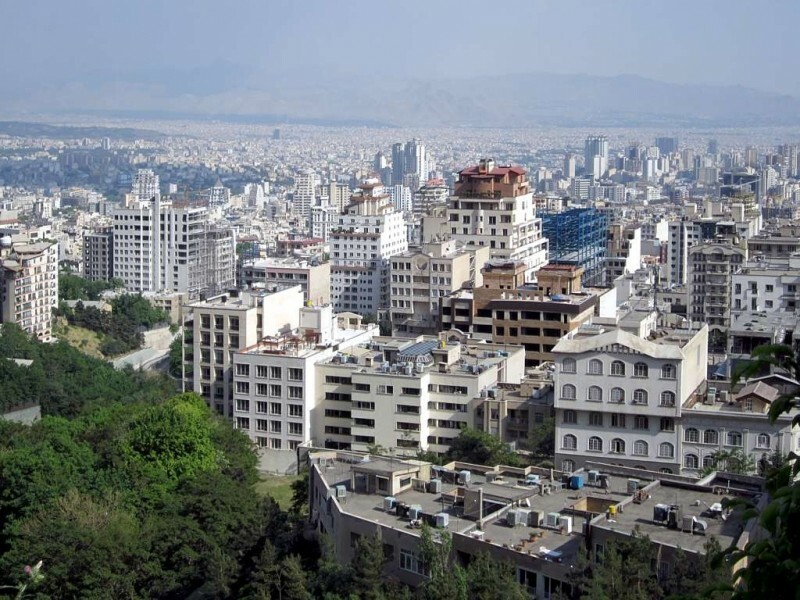 We will also visit the Grand Bazaar of Tehran, which is located in southern Tehran. It is comprised of a myriad of corridors which span over 10km in length. In the afternoon we visit the fabulous Treasury of National Jewels, also known as Crown’s Jewels Museum, housed in the vaults of the Central Bank of Iran, displaying the most dazzling and priceless collection of jewels and gems in the world. Time permitting, we will also visit the Abguineh Glass and Ceramics Museum, which is impressive not only for its exhibits but for the building itself. Built as a private residence for a prominent Persian family, it later housed the Egyptian Embassy. Today on our Iran tour, we start with an early morning departure to Qazvin where we will divert to the Valley of Alamut (the so-called Valley of the Assassins) to visit the remains of Qaleh (Fort) of Hassan-e-Sabah, referred to as “The Old Man of the Mountains”, and the Leader of the Isma’ilis, at Gazor-Khan, which entails climbing the some one hundred steps. Although the castles are mostly in ruins, it is pleasant to walk among the beautiful mountain scenery. We will return to the main road and continue to Qazvin where we will spend the night. 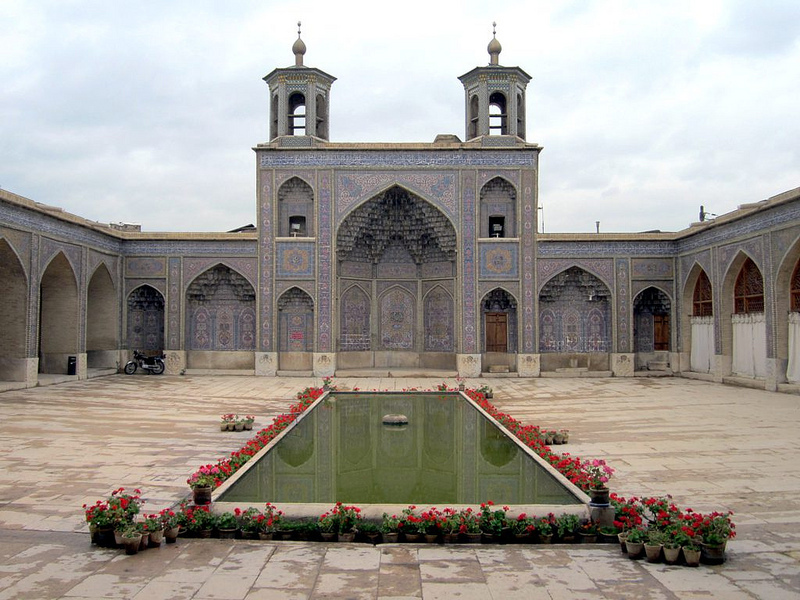 Today on our Iran tour, we start our day in Qazvin where we will be visiting Friday Mosque and the Shahzadeh Hossein Shrine before driving to Soltanieh, a UNESCO World Heritage Site, where we will visit the magnificent tomb of Uljaitue, the Ilkhanid Ruler of Iran, before heading on to Zanjan for the night. Today on our Persia tour, we drive to Rasht, the center of Guilan Province, via the spectacular mountainous roads of northwestern Iran. We will explore the city of Rasht and visit the Rasht Rural Museum and continue to the traditional village of Masuleh, which is one of the oldest and longest inhabited villages in Iran, and declared as a heritage site by the Iranian Cultural Heritage Organization. 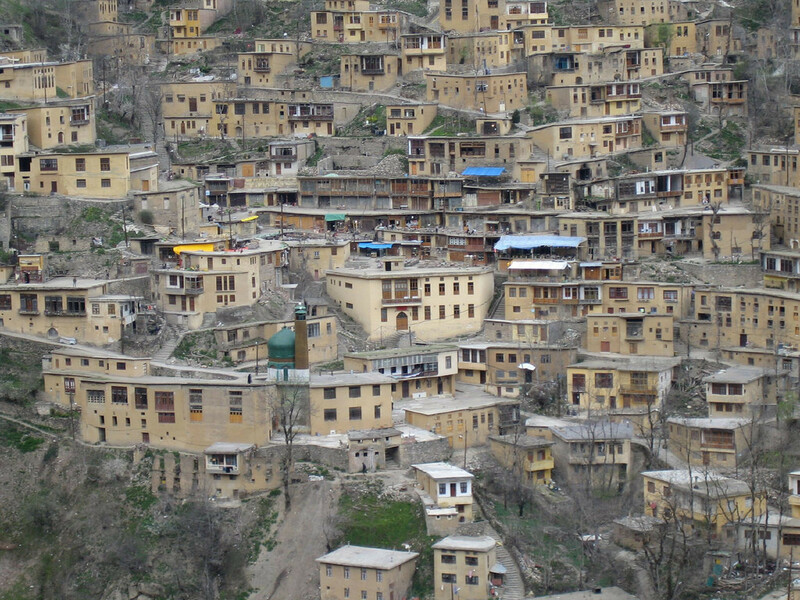 Masuleh, which is over 3000 feet in altitude in the mountains above the Caspian Sea, is a fascinating and unusual village that is built right into the slope of a mountain and has a unique, purpose-built architectural style where the front yard of each of the houses on the incline is actually the roof of the house below it. The buildings are so tightly packed that there is only room for a maze-like network of stairs and narrow roads connecting each of the structures. In fact, automobiles are not allowed in Masouleh simply because there is no room for them! This morning on our Persia tour, we drive to Bandar-e Anzali, which has a slightly different atmosphere to other Iranian cities. It has had a strong influence resulting from its trade with Russia over the years and has been an important port city for some time with an eclectic mixed population of Russians, Armenians, Caucasians, and Turkmen on the Caspian Sea. 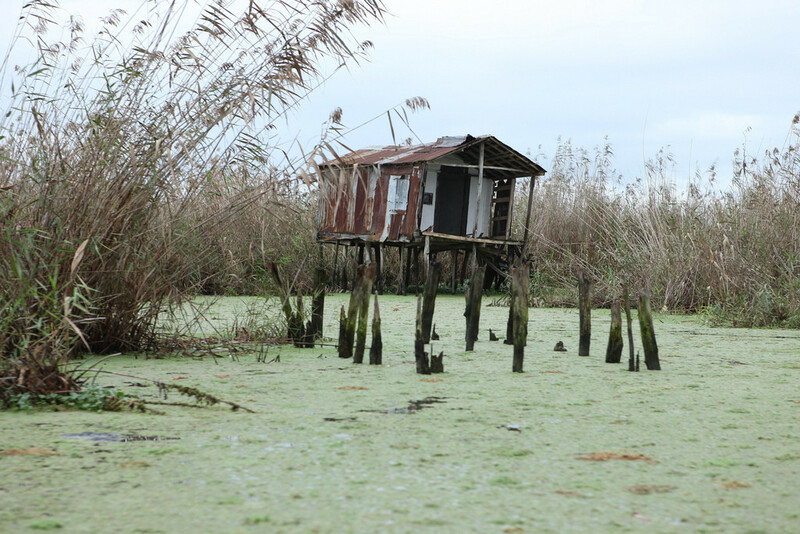 We will visit the interesting local markets and take a boat ride on the Anzali Lagoon, which is home to both the Selke Wildlife Refuge and the Siahkesheem Marsh and this is an excellent spot for birding on our Iran tour. Today on our Iran tour, we will set off on a morning drive through spectacular scenery of forest-covered mountains via Astara and Heyran Pass, visiting the city of Astara and continuing on to Ardabil, which is now a province in its own right, owing its fame to the monumental mausoleum of the great Sufi leader and the ancestor of Safavid Kings, Sheikh-Saffi-eddin Ardebili, a UNESCO World Heritage Site. 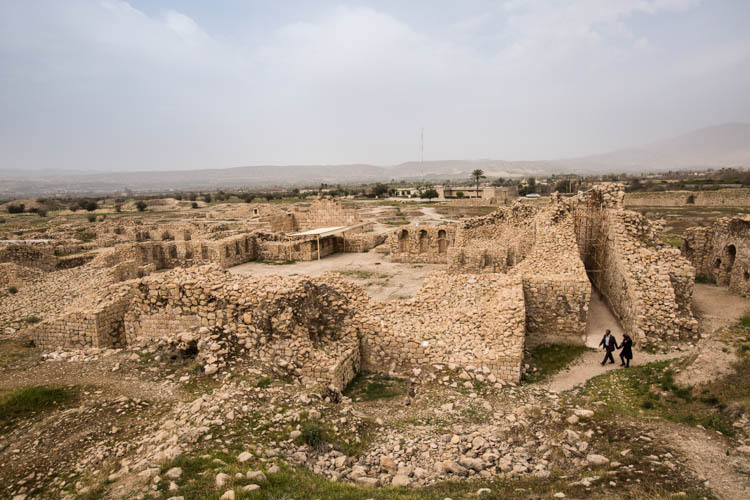 Early in the morning, we drive to Jolfa through Kaleybar County to visit the fortress of Babak Khorramdin, one of the main Persian revolutionary leaders of the “Khorram-Dinān”, which was a local freedom movement fighting the Abbasid Caliphate. 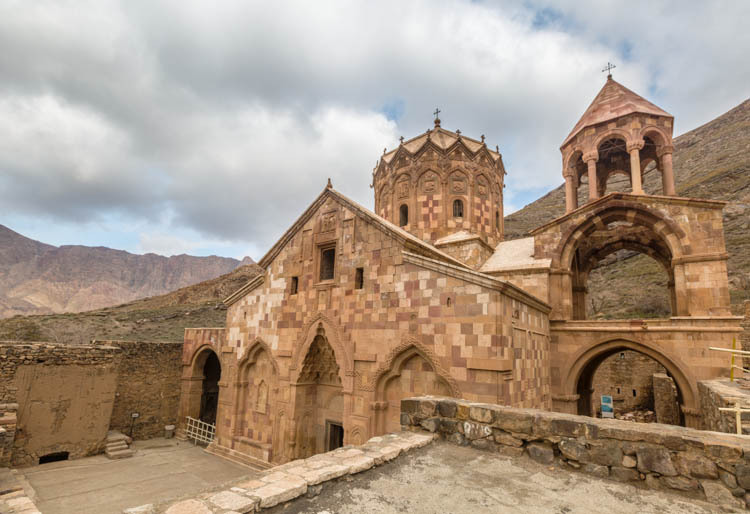 We continue to Jolfa to visit the UNESCO World Heritage Sites of St. Stephanos Church, which is one of the oldest and most beautiful Armenian churches in the area (10-12 century A.D). The church, which is named after St Stephanos, one of the first Christian martyrs, is located in the green valley of Darreh Sham, some 15km west of the city of Jolfa. A thick, tall wall made of stone, with seven watchtowers provided a good protection for the church. On the facade of the church one can see depictions of Mary and Jesus, as well as angels and apostles beautifully carved on stone. 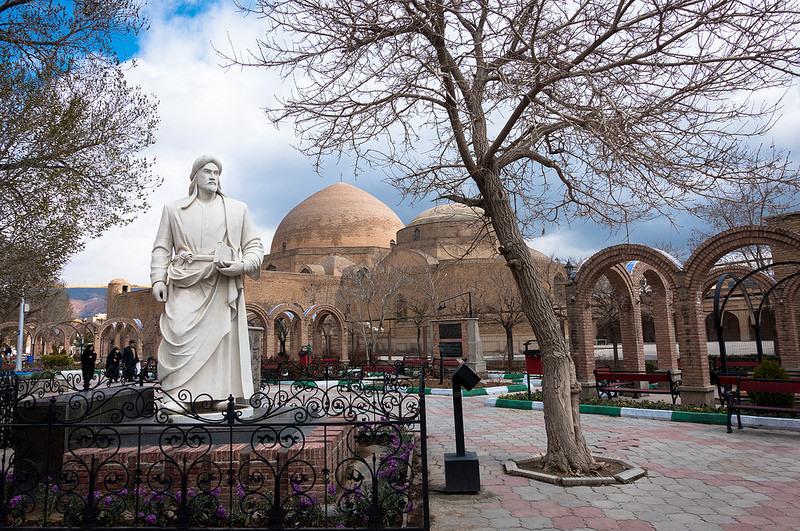 Today on our Iran tour, we start with an early morning drive to Maku, we visit the Church of Saint Thaddeus, also known as Qara Klisa or the Black Church, located about 20km south of Maku. It is one of the oldest churches in Christendom, and holds a special meaning for Iran’s Armenian minority who gather there every year in July for the feast of Saint Thaddeus, the early Christian apostle who was martyred there. The original building is constructed of black and white stone and dates back to about 10th century A.D. Later we will continue to Tabriz for the night. Today on our Persia tour, we begin with sightseeing in Tabriz with a visit to the Blue Mosque, known as the Turquoise of Islam, and the Azerbaijan Museum, which displays a fine collection of pre-historic and historic artifacts found in the area, and drive by the 13th century Arg-e Alishah, which was originally a magnificent Friday Mosque, but turned into a fortress in the 19th century. 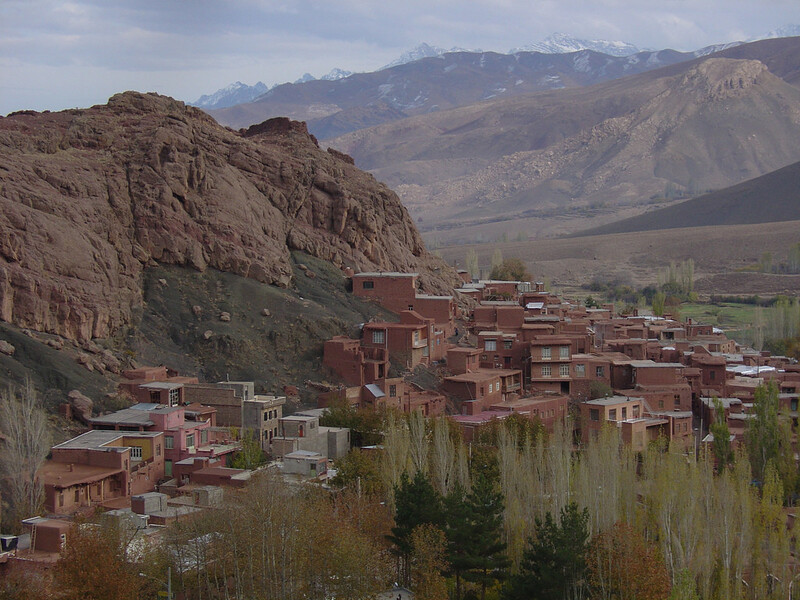 In the afternoon we will drive to the intriguing troglodyte village of Kandovan, up in Mt Sahand, a volcanic mountain. 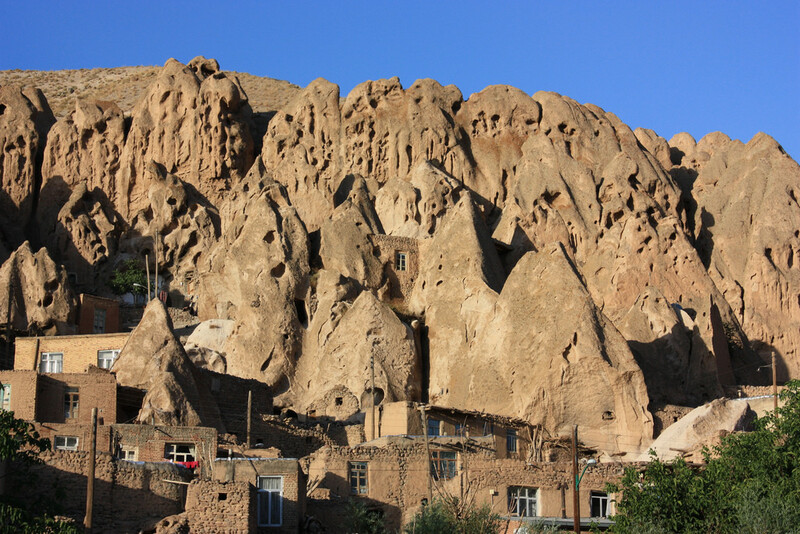 In Kandovan people have carved their homes in the rocks and still live in them as in ancient times. The day begins with an early morning drive to Takht-e Soleyman, a UNESCO World Heritage Site, which is located in a broad and remote mountain valley near Takab. Dating back to the Sassanid period, the fire temple Azar Goshasp was constructed alongside the artesian lake and is one of the greatest sanctuaries of Zoroastrianism (one of the world’s oldest religions) bringing together two of the elements of fire and water. Historically, the sacred fire was guarded by the Zoroastrian Magi’s, and today, Takht-e Soleyman (The Throne of Solomon) continues to be a sacred and enigmatic place to all who visit there. 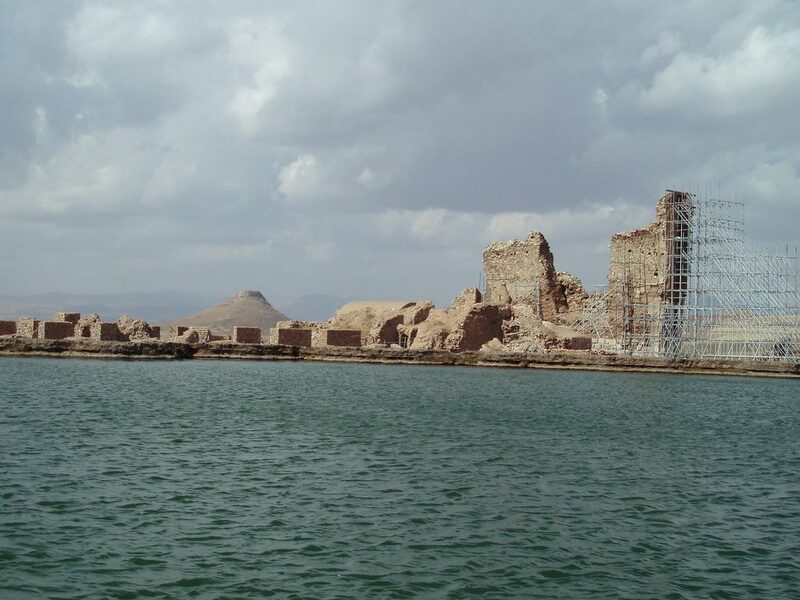 The massive stone walls and remnants of the thirty-eight watch towers, plus remains of the palaces, the fire temple and the Anahita temple, built around the lake mainly by the Sassanians in the 3rd century A.D, are part of what is left of the complex. The crater of Zendan-e-Soleyman (the Prison of Solomon) can be glimpsed in the distance. 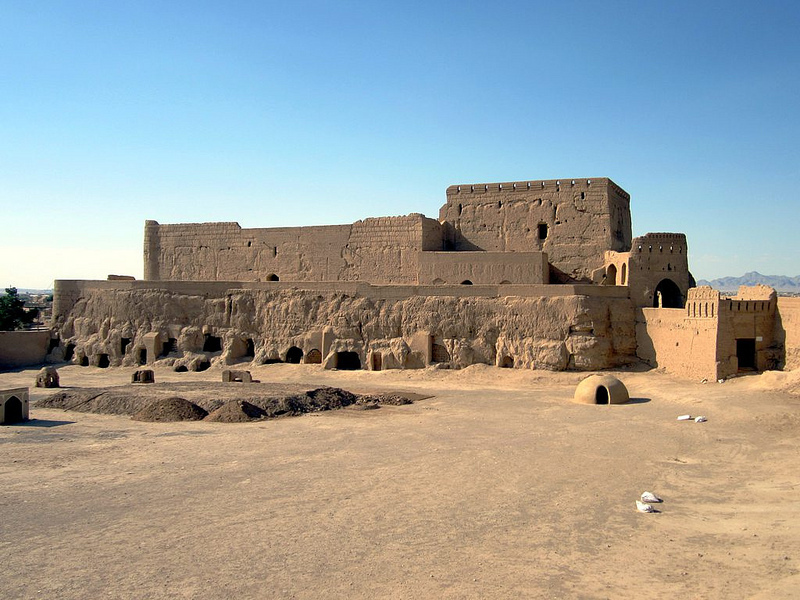 Today on our Iran tour, we head off on an early morning drive to Hamedan, which is a major stop on the ancient royal road to Baghdad, for a day of sightseeing, visiting Ganjnameh, the inscriptions by Darius I, and his son, Xerxes, carved on the rocks of the mountain; the Tomb of Esther & Mordecai, a major Jewish pilgrimage center; the 12th century Alavyan Tomb Tower; the Tepe Ecbatana, an important archaeological site dating back to 700-500 B.C, and a museum on the site, and the Tomb of Avicenna (died in 1034), Iran’s celebrated philosopher, scientist and physician. We head off early this morning on our Persia tour, driving to Kermanshah, via Kangavar (a small town of great antiquity dating back to 200 B.C. 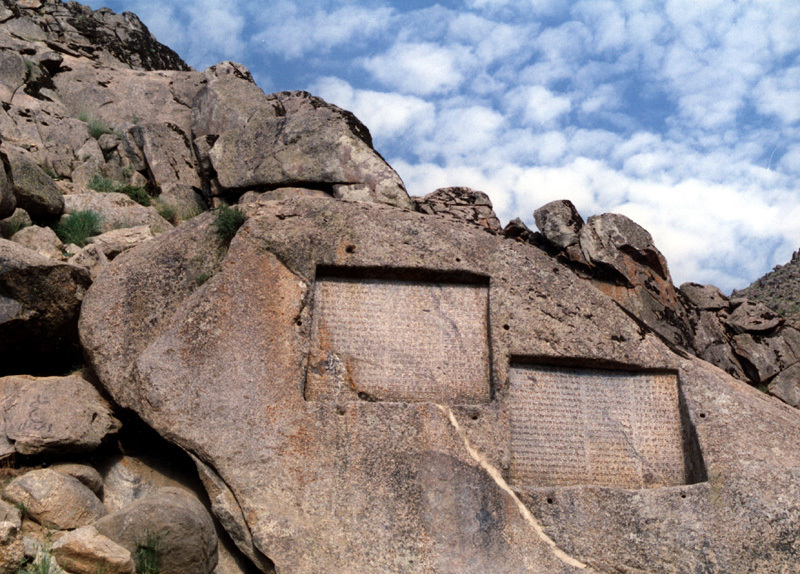 lying halfway between Hamadan and Kermanshah), to visit the Temple of Anahita, the goddess of water and fertility, then on to Bisotoun Relief/Inscription, a UNESCO World Heritage Site, which is 4000 feet high on a mountain rock. On arrival in Kermanshah, and after lunch, we will stroll the historic Old Quarter of the town and then visit the important Sassanian reliefs at Tagh-e-Bostan, depicting royal hunting scenes and the investiture of the Sassanian kings. After a hearty breakfast we drive to Ahwaz via the fortress city of Shushtar visiting Shushtar Water Mills, a UNESCO site that dates back to the 3rd century C.E., and enjoy the beautiful rock formations of Zagros Mountains as we head into the ancient lands of Luristan towards Pol-e-Dokhtar where we will visit the remains of the ancient arch Valerian bridge built during the Sassanian era. 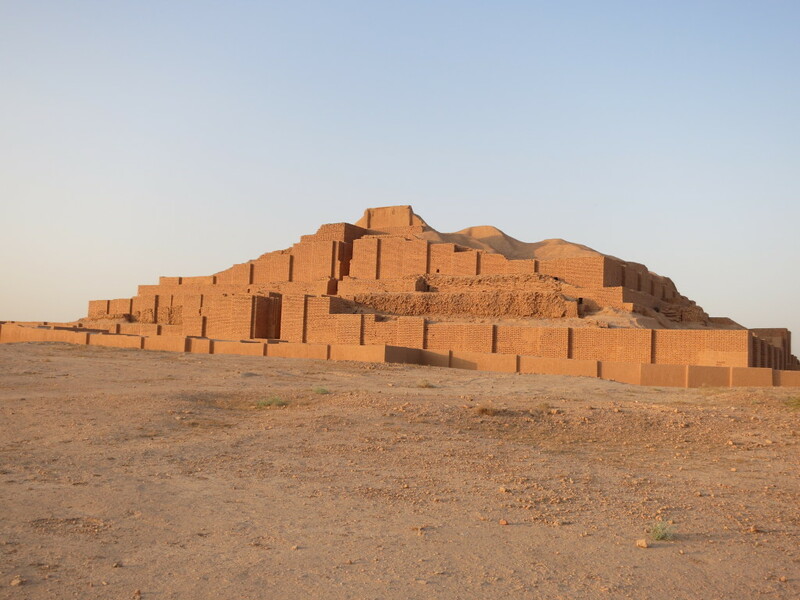 Today on our Iran tour, we will set out on a one-day excursion to Chogha Zanbil to see the largest man-made structure in Iran — the well-preserved Elamite ziggurat. This is one of the few remaining examples of ziggurat in the Middle East. We consider the distinctive construction techniques and the elaborate glass based materials that were used for this great structure. We will visit several of the small temples surrounding the ziggurat in which rich temple offerings were found by the excavators. We continue to Shush (Shushan, the setting of the Biblical Book of Esther), or Susa (UNESCO). 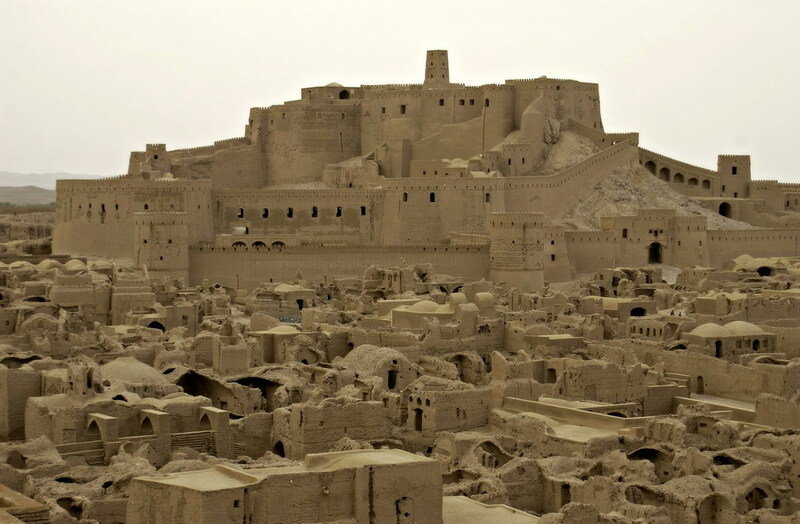 Dating back to before 6,000 B.C., it is one of the great cities of ancient Iran. It was an important Elamite center from the middle of the third millennium B.C. until it was destroyed by the Assyrians in the seventh century B.C. and Darius I made it his winter capital. We will have time to explore the Royal Town, once the royal residence of the Achaemenid court officials, and the Apadana, the location of the imperial palaces. Finally, we visit the Tomb of Daniel, built for a Jewish prophet and still a place of pilgrimage. Today’s long drive takes us through the oil-rich province of Khuzestan and the tribal areas of Mamasani and Boyer-Ahmadi and into the upland province of Fars. 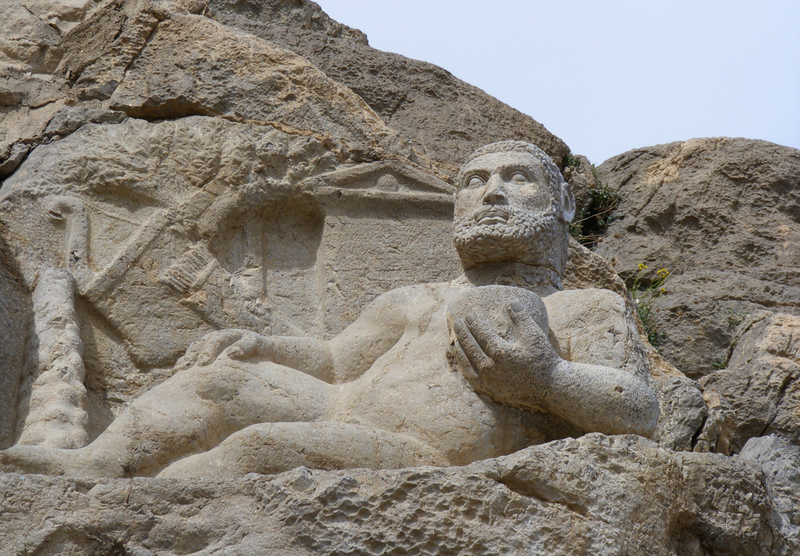 We will visit the remains of the city of Shapur I, and six important rock carvings at Tang-é Chogan, commemorating Shapur’s victories over the Romans and his other adversaries, located near Bishapur. The temple at Shapur’s palace has been identified by one investigator as sacred to Mithra, the god associated with cosmic light. Overnight in Shiraz. This morning on our Iran tour, we venture out on a full day excursion to Persepolis, another UNESCO World Heritage Site and one of the most important sites of the Ancient World, the ceremonial capital of the Achaemenid kings with remains of the palaces of Darius the Great, Xerxes and Artaxerxes, and its famous bas-reliefs, depicting kings and courtiers and gift-bearing representatives of tributary nations of the Persian Empire. We also take time to visit Naqhsh-e Rostam to see Ka’be-Zardosht (fire temple/sanctuary), and Royal Tombs (also Achaemenid); the seven magnificent Sassanian rock-reliefs (including Shapur I’s famous victory over Roman Emperor Valerian); and Naghsh-e-Rajab, a nearby grotto with more Sassanid reliefs. In the afternoon we drive a further 70km to Pasargadae (UNESCO), pre-dating Persepolis, where we see the impressive six-tiered Tomb of Cyrus, Qabr-é Madar-é Soleyman, and walk through the different sections of the ancient city: the Residential Palace, the Audience Hall, the gatehouse, Zendan-é Soleyman, and Takht-é Madar-é Soleyman. A highlight of any tour to Iran, we will enjoy a full day city tour of Shiraz to visit some of the famous gardens of this city of “roses and nightingales”, including the Bagh-e Eram, which is part of the UNESCO-listed Persian Gardens, the tombs and gardens of Iran’s greatest lyric poets, Hafez and Sa’adi; the pink tiled 19th century Nasir-ol-Molk Mosque; the Arg-e-Karim Khan (an 18th century citadel); the Madrassa Khan (Theological School), to have interaction with teachers and students; the Qajar-period Narenjestan Garden/House; the Vakil Bazaar of Shiraz; and the Holy Shrine of Shah-e-Cheragh (unfortunately it is only accessible to Muslims and for the rest can only be seen from outside). 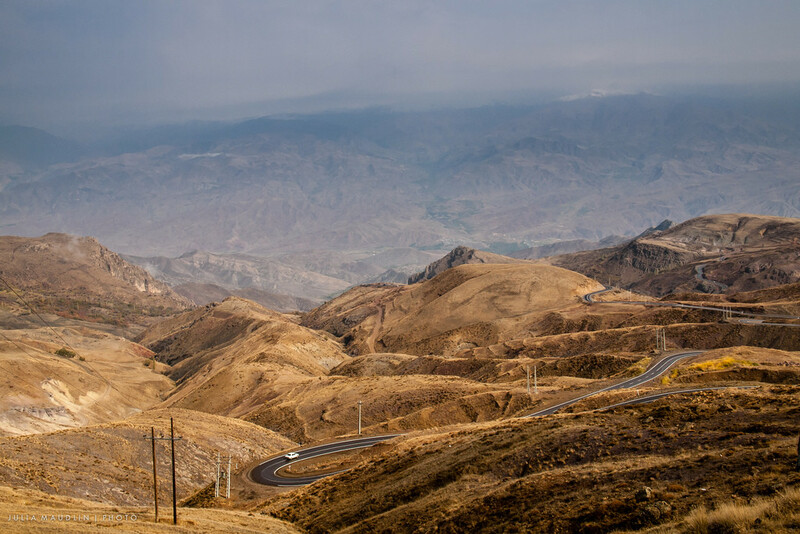 From Shiraz, we will drive to Kerman stopping en route to visit the ancient village of Meymand, a UNESCO World Heritage Site believed to be a primary human residence on the Iranian Plateau, dating back 12,000 years. Many of the residents live in the 350 hand-dug houses amid the rocks, some of which have been inhabited for as long as 3,000 years! We continue to Kerman where we will spend the first of two nights. 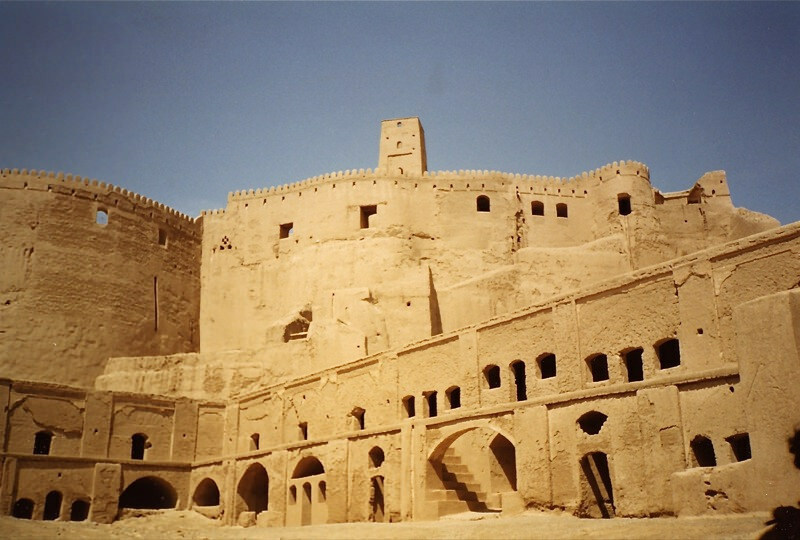 Today on our Iran tour, we have the pleasure of a full day excursion to visit Arg-e-Bam, a UNESCO-listed fortified medieval town built in vernacular technique using mud layers (Chineh); continue to the village of Rayen, to visit the Arg, or Citadel, of Rayen, a miniature version of the Arg-e-Bam, with all the architectural features of a desert citadel. On the return journey we stop at Mahan, to visit the blue-tiled Mausoleum of Shah Nematollah-e-Vali, the great 14th century Sufi Leader; and the Shahzadeh Garden (late 19th century Qajar-period garden/house). We take a half day visit in Kerman to see the Ganj-Ali-Khan Complex (a 17th century Safavid period bathhouse, bazaar, and caravanserai), the Hammam-e-Vakil, another 18th century bathhouse turned into a traditional teahouse/restaurant, and the 14th century Friday Mosque. We then depart Kerman for Yazd, en route visiting Zein-ed-Din Caravanserai, dating from the Safavid period. We spend the night in Yazd which is located in the heart of Iran and was a major stop on the international caravan routes to central Asia and India. The architecture of Yazd is the most traditionally Persian to be found. The following day, we visit one of the two Zoroastrian abandoned Towers of Silence (Dakhma), dating back to the 18th century to where, until some 50-60 years ago, the dead were carried and left to decompose and be devoured by birds. From here move on to the active Zoroastrian Fire Temple, where the fire has been burning for about 1500 years! We will also visit Amir Chakhmaq Square and the mosque. 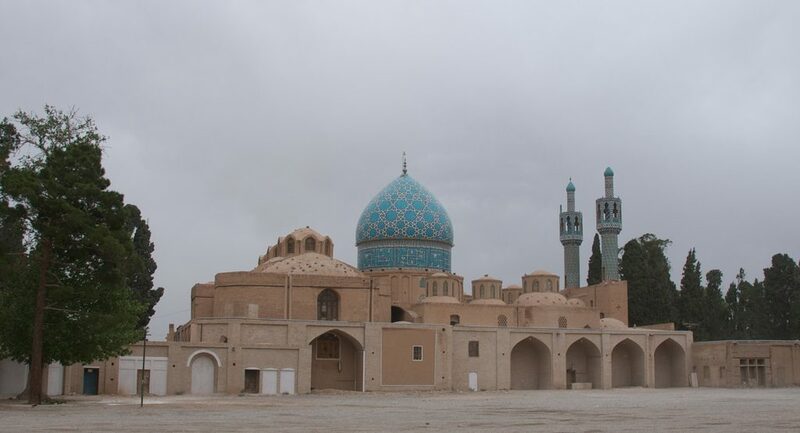 Among Yazd’s Islamic sites is the Friday Mosque (1324 A.D.) with the highest portal and minarets in Iran. Other notable Islamic monuments in Yazd are the Seljuk Shrine, dedicated to the Twelve Shi’ite Imams, and the Ziaieyeh Theological School, known as Zendan-e-Eskander or Alexander’s Prison. There are also many beautiful old houses in Yazd, among them the Dowlat-Abad Garden, a UNESCO World Heritage site that is part of the Persian Gardens, with an 18th century feudal hexagonal house. On the morning of day 22, we drive to Isfahan, stopping en route to visit Meybod, a small desert town with several very interesting monuments of desert/mud architecture, including a caravanserai and the Narin Castle. From here we drive to Na’in to visit the Friday Mosque and the Pirnia House/Ethnographic Museum, a beautiful example of a Safavid period private house with delicate monochrome painted plaster decoration. Finally we continue to Isfahan where we enjoy three nights. On day 23, we begin our morning with a full day tour of the beautiful city of Isfahan, the 17th century capital of the Safavids, referred to as Nesf-e-Jahan (Half of the World) in Safavid sources, to visit the famous bridges of Shahrestan/Khajou/Sio-se-pol and the Armenian Quarter with several churches, including the important Cathedral of Vank. In the afternoon we will pay a visit to one of the world’s grandest squares, the Maidan-e-Naghsh-e-Jahan, a UNESCO World Heritage Site which contains several sites including the Ali-Qapu Palace with its enchanting music rooms and balcony overlooking the Maidan, from where the Safavid Kings watched polo games, and two of Islamic world’s greatest mosques – the Sheikh Lotfollah and the Shah – with magnificent architecture and tilework. We will finish the day with a visit to the Qeisarieh Bazaar, where hundreds of shops display a rich variety of handicrafts, carpets, tiles, and miniature paintings. 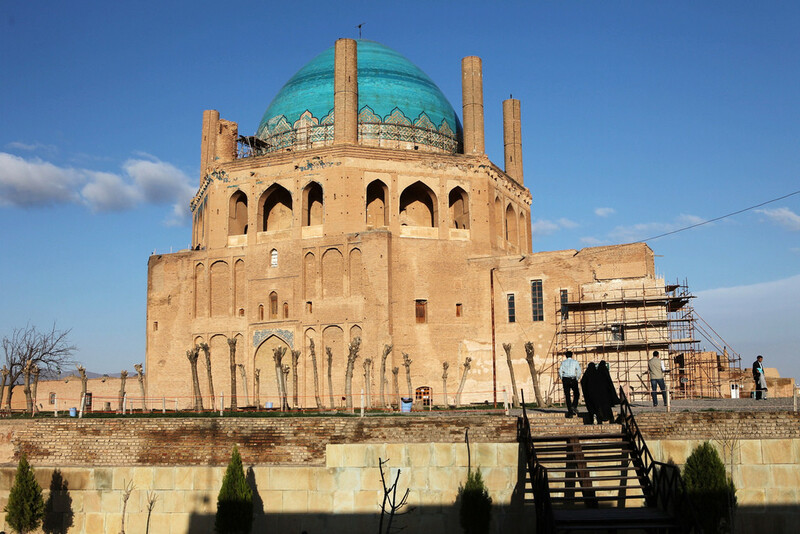 On day 24 of our Iran tour, we have another full day sightseeing in Isfahan, visiting the magnificent Friday Mosque, with the famous Uljaitu Mihrab (Prayer Niche) of the Il-Khanid period. 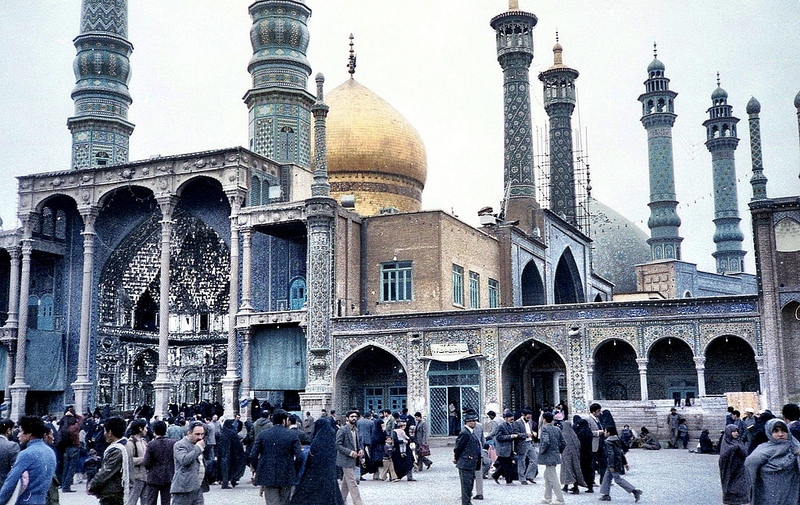 The Friday Mosque is considered a museum of a thousand years of Persian religious architecture and is truly one of the world’s greatest mosques. We will also visit the Harun-e-Velayat Shrine and the Ali Minaret. 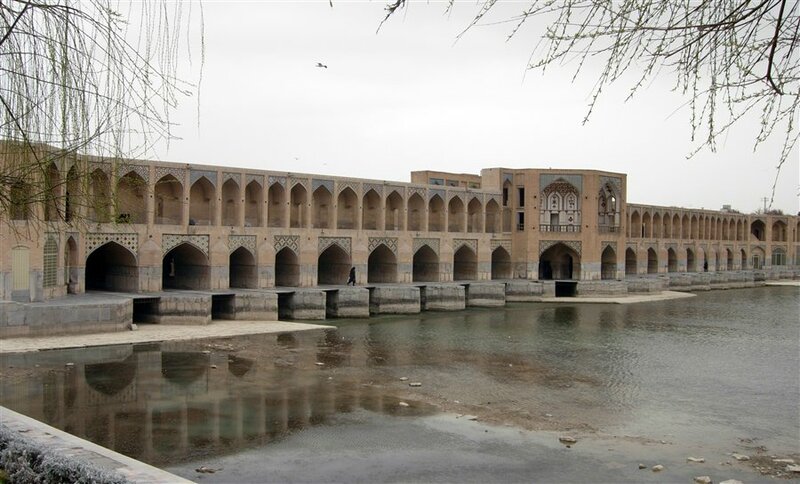 From here we drive to the Chehel Sotun Palace, built by Shah Abbas II in the 17th century; its wooden columns reflected in the surface of the pool give rise to its name ‘The Palace of Forty Columns’. In the afternoon we return to the main Maidan for further visit to shops and the bazaar. This morning on our Iran tour, we set off for Abyaneh stopping en route at the charming town of Natanz to visit a beautiful Islamic Complex (Friday Mosque/Monastery/Tomb of Sheikh Abdol Samad Isfahani). From here we head on to Abyaneh, a small village hidden in the Karkas Mountains. The people of Abyaneh have preserved their ancient culture and traditions over the centuries and still wear their traditional dresses. From Abyaneh we continue to Kashan to visit the historical garden of Fin, which was first planted during the Safavid period and kept alive with water from the nearby Sulaimanieh Spring. This beautiful garden was expanded by the Zand and Qajar monarchs, with many open pavilions added. You will also visit a fine example of a 19th century merchant residence known as Borujerdi House with its beautiful stucco dome and inlaid mirror work, with some of the best examples of existing “badgirs” (wind-catchers). 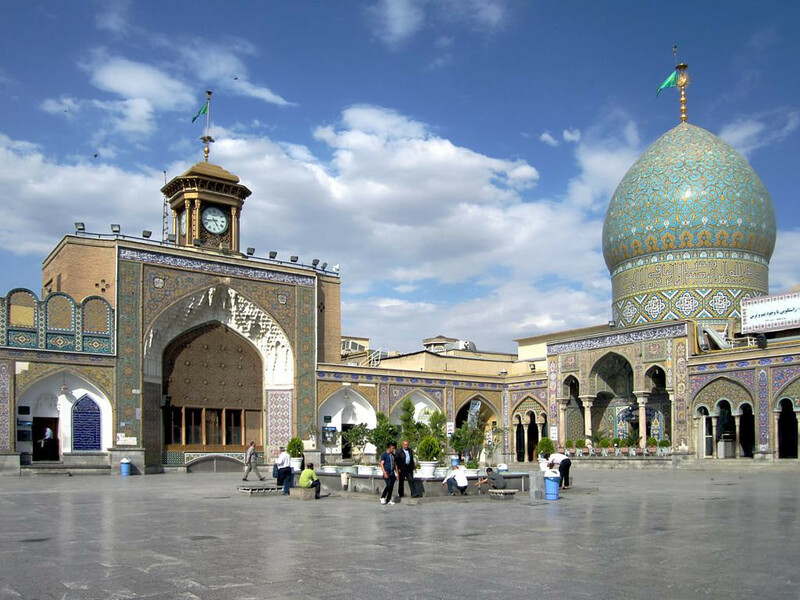 On day 26, we take a morning drive to Tehran, via Qom to see the Holy Shrine Complex of Hazrat-e-Ma’asumeh from the outside (if permission is granted by the Shrine Authorities at the time of visit, the outer courts may be visited). From here we continue to Tehran where we will spend our final night, driving by the Mausoleum of Ayatollah Khomeini. On our final day of our Iran tour, we will transfer to Tehran’s Imam Khomeini International Airport for departure.